See this tasty dish know as Palappam and Vegetable Kuruma Curry. 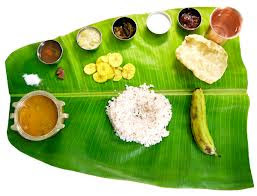 Kerala's number one tasty break fast dish. 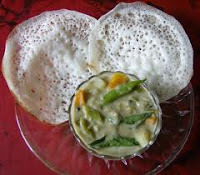 Palappam is prepared using rice powder which is highly healthy and tasty morning dish of Kerala. 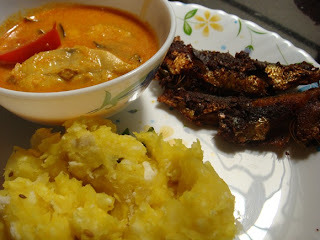 Kappa and Fish curry is one of the traditional taste of Kerala which is available from villages to all star rated restaurants. Mainly Kappa (tapioca) and Fish curry is one of mostly accepted food combination of Kerala which attracts many tourists to Kerala. 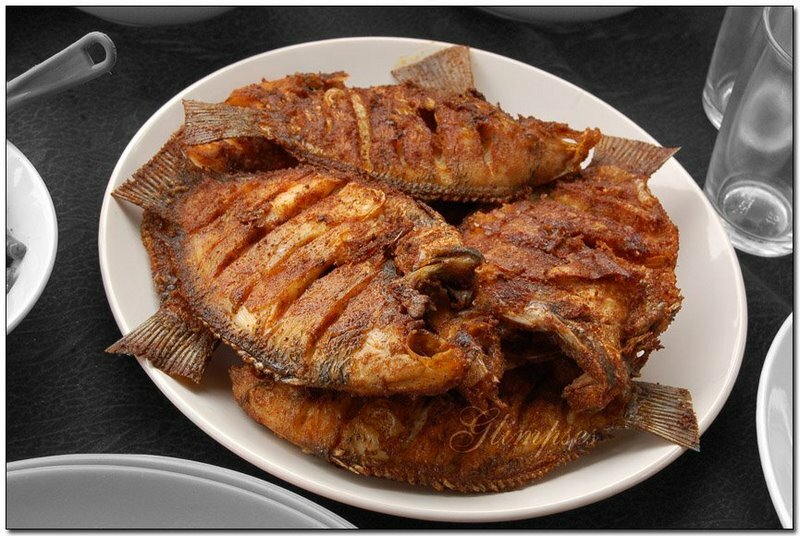 Karimeen is most famous local fish item. It is mostly available in mid districts of Kerala mainly Alappuzha, Ernakulam, Kottayam. Karimeen is a fresh water fish which is plenty available in places near to lakes.